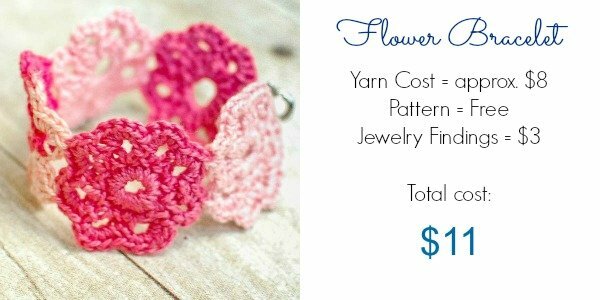 Here are some great ideas for crochet gifts you can make for $20 or less. Not only are they lovely (and easy on the wallet), but nothing can compare with the thoughtfulness and effort of a handmade gift. Just click on the images below to be taken to each pattern. 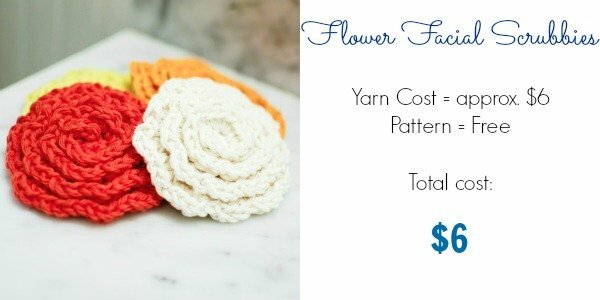 Please note that the approximate yarn costs included here were calculated from widely available well-known brands such as Lily Sugar ‘n Cream Cotton, Aunt Lydia’s Classic Crochet Thread, Knit Picks Brava Worsted, etc. Oh my! 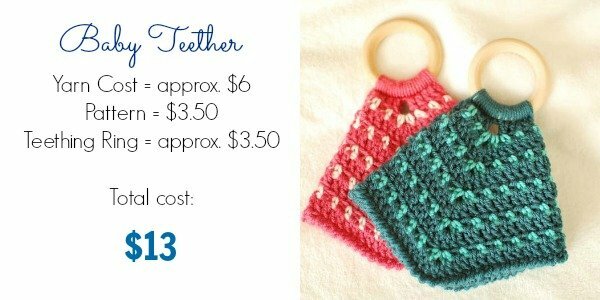 How sweet are those teethers? 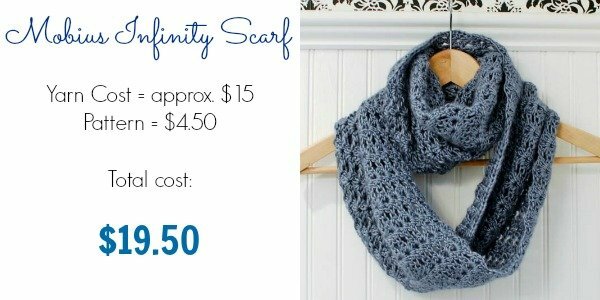 Such a fabulous array of affordable DIY gift ideas. You are so talented in this medium, Kara. It truly is inspiring to see! I love that scarf! Love love love it! Great roundup Kara! I love that you listed the prices for each of them too. Are the teething rings something you can find at the craft store, or is it some special baby-safe wood? You’ve got my wheels spinning for new projects! Great projects! 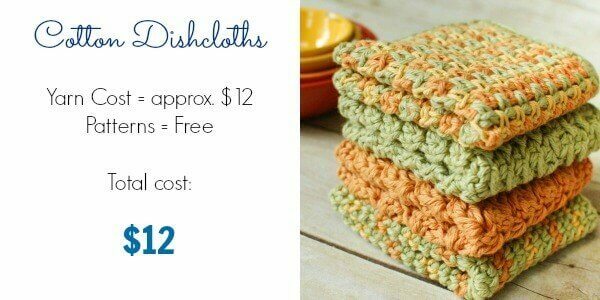 I especially like the facial scrubbies, and I wish so badly that I could crochet! All of these would make amazing gifts! 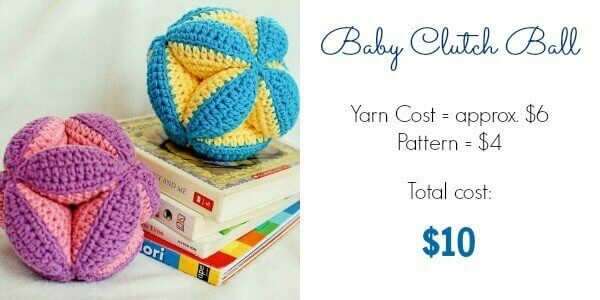 Now, i just need to learn to crochet! 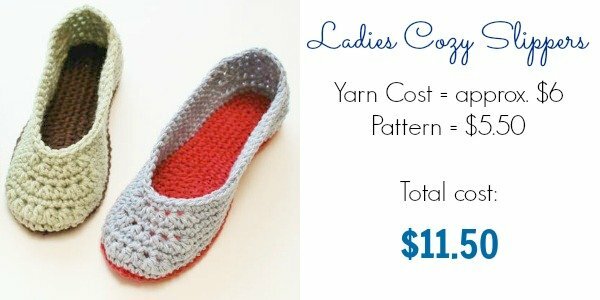 Kara, what a great round up of amazing crochet projects that are all under $20! Well done!